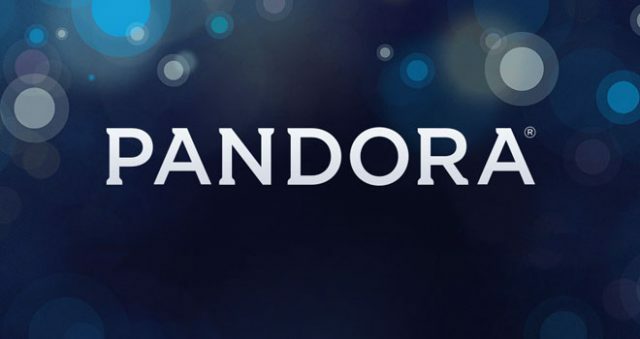 Music streaming service Pandora has admitted it does not pay artist royalties on songs recorded before 1972. This incredible revelation came during the company’s Q1 2014 earnings call, when Pandora CEO Brian McAndrews tried to downplay the threat posed by the coalition of record labels currently suing the company over this very issue. This doesn’t seem legal, right? – Unfortunately for artists, it is. Songs recorded before 1972 are not covered under federal copyright statues, but rather by a patchwork of varied (and in one case, non-existent) state law, which either makes no mention of broadcasting royalties, or allows broadcasters operating outside of the state to get away with paying no royalties at all. It’s also interesting that McAndrews compared his company’s actions with terrestrial radio, who are mostly exempt from paying performance royalties. Artists and record labels have been up in arms fighting to end that exemption, and while that fight was ongoing Pandora quietly purchased a small FM radio station in rural South Dakota so they can pay a lower royalty rate to songwriters than other online music streaming services. All while continuing to pay no royalties on songs recorded pre-1972. Even if this behavior is legal, I think we can all agree it’s certainly unethical. This is money that should be going to artists, but instead it’s lining the pockets of Pandora’s executives. It’s shocking that someone as wealthy and popular as Justin Bieber would receive royalties from Pandora simply because of his age, but an older artist whose star may have faded over the years and may not be able to recoup that money with a lucrative tour, would get nothing. So, according to Pandora’s CEO, screwing artists over is OK so long as you only do it 5% of the time? Given the deep archive of music Pandora has access to, I found that claim incredibly dubious, so I decided to test it for myself. Using a new web browser with no cookies (small files Pandora uses to identify unique users when they’re not logged in), I went to Pandora.com as a guest user and took a sample of songs from a few stations – Clearing cookies before changing stations. With the Pop, Rock, Soul, and R&B stations, his claims mostly rang true, playing pre-1972 content around 10% of the time – Likely because the definition of those genres in 1972 was very different to what it is now. I would never presume that Pandora’s algorithm was intentionally screwing over jazz legends like those included in the above list, and I must also admit that much of what most listeners would readily characterize as jazz was recorded before 1972. However, no one can deny that this dubious, and unfortunately legal, business practice is disproportionately affecting Jazz artists. What’s most concerning is many of the people on that list are no longer alive and their estates put much of their royalty income, which is vital to protecting their rights even in death, towards projects that ultimately support and continue the legacy of the artist. That cannot happen when they’re not getting what is rightfully owed to them. This issue also extends into other genres as well. Aretha Franklin has become the perfect example of how this issue affects artists with her hit single “Respect.” The song was written by Otis Redding in 1965, and receives frequent spins on Pandora. Every time it’s played, Redding gets a small share of the publishing royalties Pandora pays – 4.3% of their annual revenues, according to Billboard, which is $18.4 million- and while Franklin should receive $0.0013 every time the song is streamed, she gets nothing because she recorded the song in 1967. Before 1972. $0.0013 per play may sound like an infinitesimally small amount of money; however, artist royalty campaign organization Project 72 estimates that payouts for pre-1972 recordings alone would have totaled over $60 million last year, and a sizable chunk of that money should have gone to jazz artists. Unfortunately, there’s no easy fix for this. This has been a contentious issue for decades and new legislation that would remedy the situation, like 2013’s The Free Market Royalty Act, have always fallen flat because they try change too much at once without fully understanding the consequences. Now, a new and highly focused piece of new legislation has been proposed that would close this legal loophole and ensure Pandora and other similar services pay royalties when they play music recorded before 1972. The bill, called the RESPECT Act (perhaps named after the particularly egregious amount of royalties Ms. Franklin has missed out on), would amend federal copyright law to ensure older recordings receive the same royalty payout as newer ones. The Beatles, Chick Corea, Lalah Hathaway, Sergio Mendes, and David Sanborn are just a few of the artists that have backed this new bill, which has bipartisan support from Representatives George Holding (R – NC) and John Conyers (D – MI). Personally, I strongly support this measure, and I urge anyone reading this to lend their support as well. Visit Project 72 for more information, and for guidance on how to contact your members of congress. What are your thoughts on this issue? – Do artists deserve more? – Let me know in the comments below.